All it takes in indoor racing is one small mistake and your chances at glory are gone. You hiccup and you can go from the highest of highs to the lowest of lows. That was the case in Saturday night’s Gambler’s Classic 40-lap main-event for the TQ Midgets as Ryan Flores looked to have a shot at winning the race only to make a mistake allowing Tim Buckwalter the chance to sneak by. 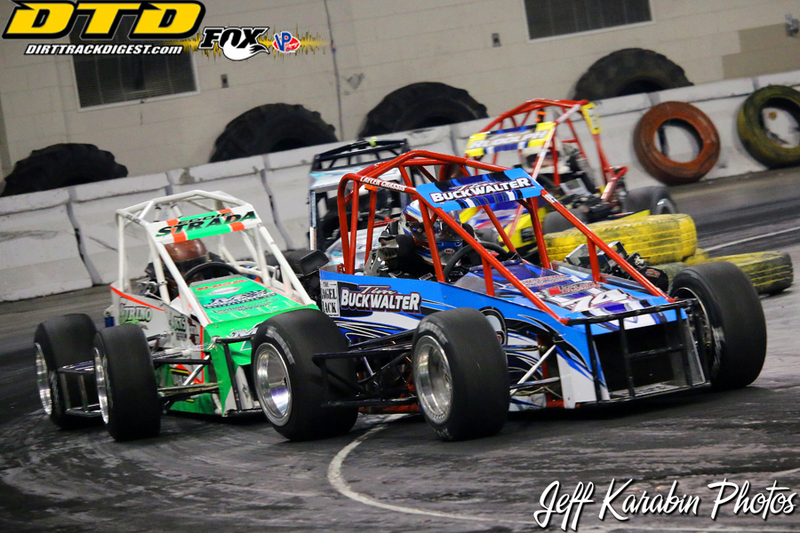 Buckwalter went on to finish second while Flores fell back to fourth, regrouped and made his way back up to third. For Flores, he admitted the mistake, but there was an opening. When you have a chance in indoor racing you have to take it and he did. Unfortunately for the defending winner things didn’t play out in his favor as he was unable to complete the pass on eventual winner Andy Jankowiak. Multi-time Gambler’s Classic winner and former indoor series champion Erick Rudolph had an eventful weekend. The Ransomville, N.Y., driver was forced to take a past winner’s provisional after being sent to the rear in his heat race for an incident at the start. He was unable to make his way back into a qualifying spot. Starting 25th in the main, Rudolph picked cars off one-by-one. Eventually he salvaged a good night with his No. 22 finishing in the fifth position while earning himself hard charger honors for his efforts. It wasn’t a very good weekend for Northeast Modified and Sportsman racers. Matt Farnham, filling in for Scott Kreutter, destroyed his Trey Hoddick mount in a hard crash in Friday night qualifying. Like Farnham, Central New York Sportsman regular Tyler Thompson took a hard lick Friday. The team made repairs allowing him to race his way into the show from his qualifying event. Unfortunately he was one of the first cars out of the race.